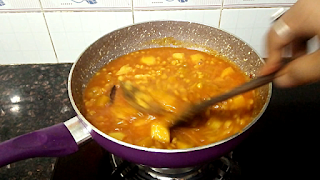 Kartika Purnami, the full moon day of the Hindu month of the Kartika.This is one of the popular festival in Odisha. 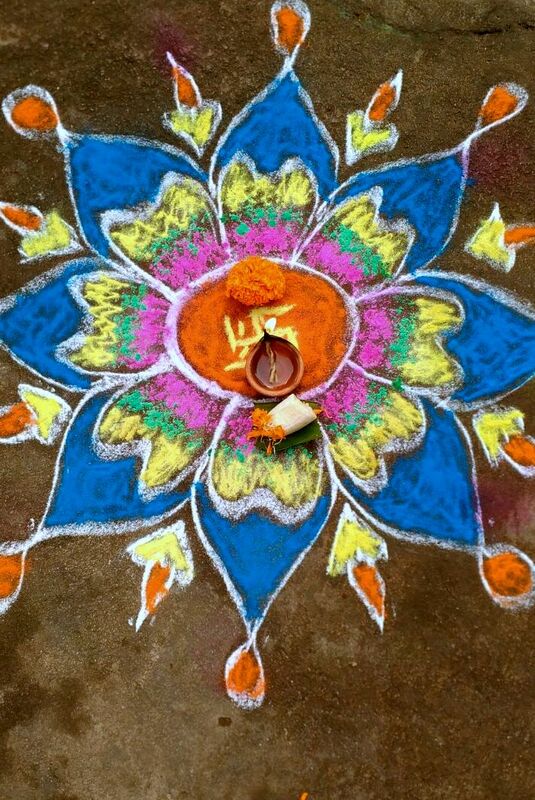 We are celebrating this in the month of October-November.In this festival the people worship Lord Shiva. 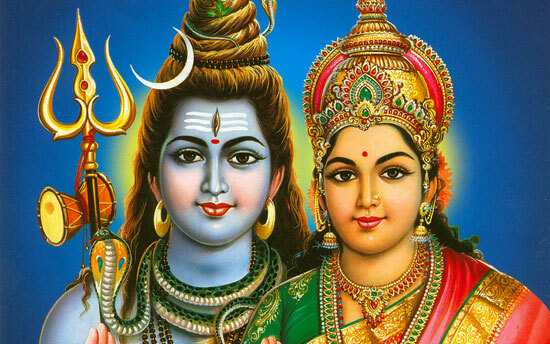 Most of the shiva temple get crowded with Devotees.The whole month of ‘Kartika’ is considered to be the most sacred among all the twelve months of the year. During this month all the Hindus devotees refrain from eating fish, meat or egg. 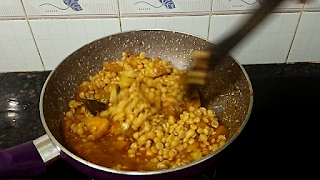 In this Month,the last 5 days are called "Panchuka".The festivities of Kartika purnami begin on the day of Prabodhini Ekadashi. Ekadashi is the eleventh day and purnami is the fifteenth day of Kartika month during Shukla Paksha. Hence Kartik purnami festivities last for five days. 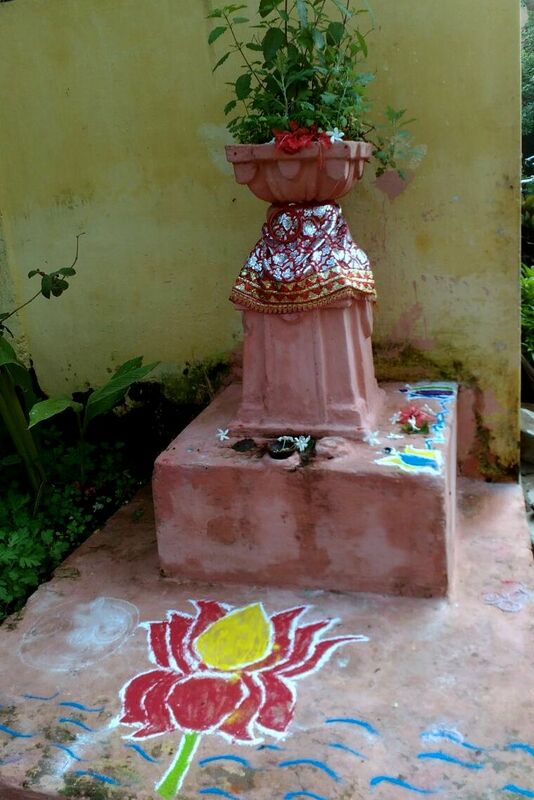 In these Five days,women after taking bath in the early morning draw beautiful flower-designs around the ‘chaura(Tulasi Plant)’ with colorful powder. They take food only once in a Afternoon which is known as "Habisha". 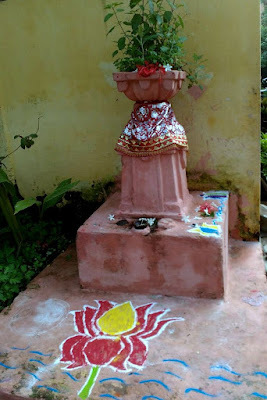 The last day being the "Kartika Purnima" it is also known as Maha Purnima when both Lord Shiva and Lord Vishnu are worshipped together.Group singing of ‘kirtans’ and loud beating of ‘Mrudanga’ and cymbals continue for the whole day. The kartika purnima concludes with Boita Bandana (Famous Boat fastival) which takes place in morning. 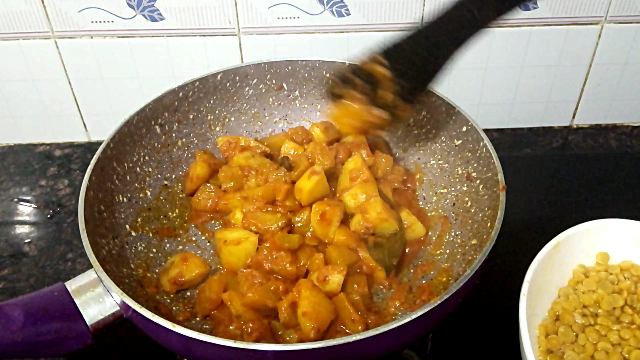 It reminds the maritime glory of the State. In old days the'Sadhabas' (Sea Traders) used to sail off to distant Islands like Java, Sumatra, Borneo, Ceylon etc. 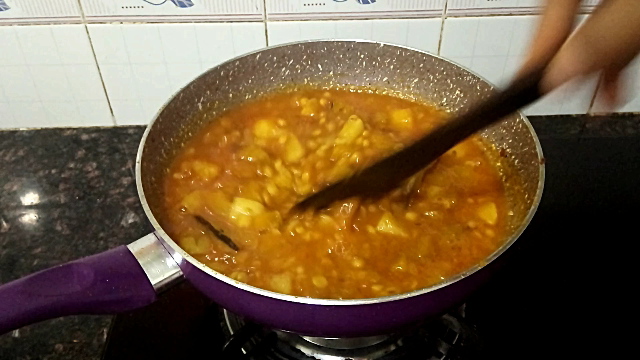 for trade by huge boats (Boita).The women from the community give them a hearty see off by saying 'Aa ka Ma Boi' which symbolizes three Oriya months i.e. Aswina, Kartika and Margashira. The days are now gone, but the memory is still alive. 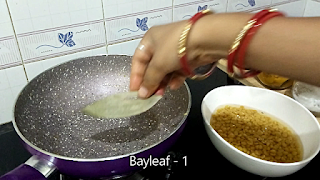 Now, people float tiny toy boats made out of cork and coloured paper or bark of the banyan tree remembering the past glory. 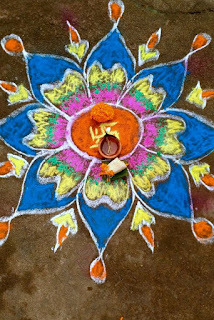 They float the boats with diya,betel leaves, crackers fruits and coins by saying "AA KA MA BOI...PAANA GUA THOI..PANA GUA TORA..MASAKA DHARAMA MORA". 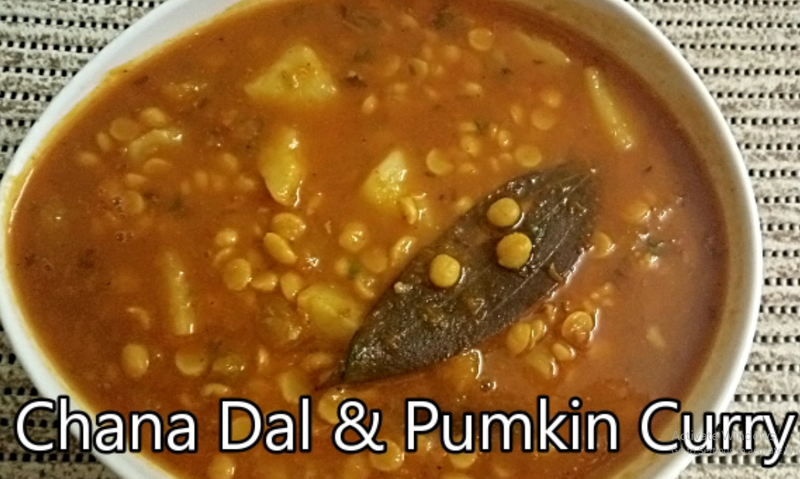 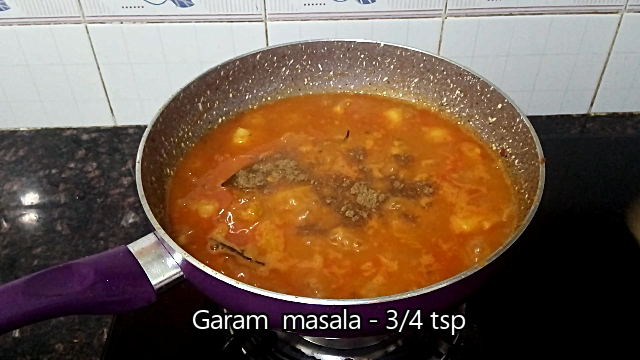 #Chana #Dal & #Pumkin #Curry | #Aloo #kakharu #buta #tarkari | ବିନା ପିଆଜ ରସୁଣ ଆଳୁ କଖାରୁ ବୁଟ ତରକାରୀ | #Odisha #Recipe | #Handishala Recipes with step by step photos and video which will help to cook this in your kitchen. 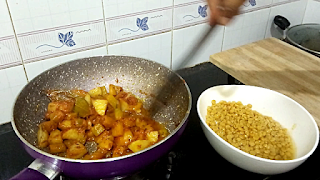 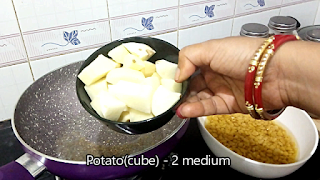 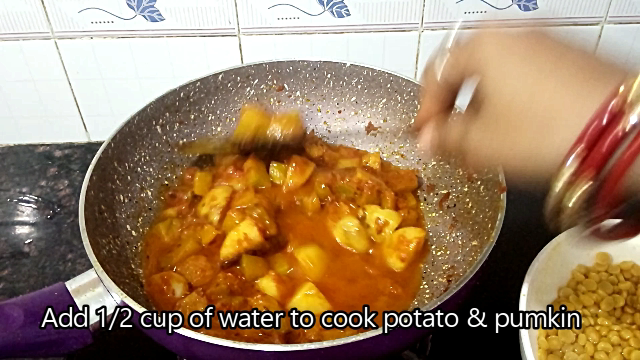 Buta dali Aloo kakharu curry is very popular dish in our Odia kitchen.I prepared this recipe without Onion and Garlic.I will share again this recipe with onion and garlic.This curry is very delicious and healthy. You can have this with Poori or Chakuli Pitha(dosa). 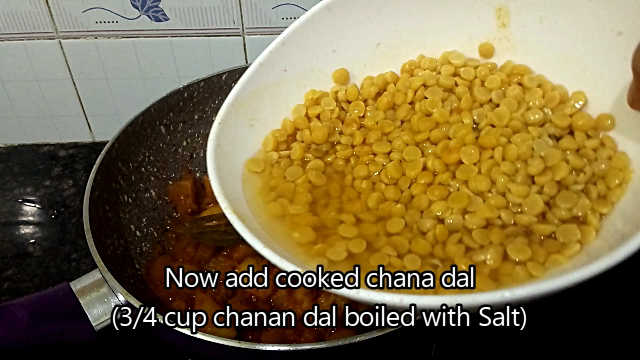 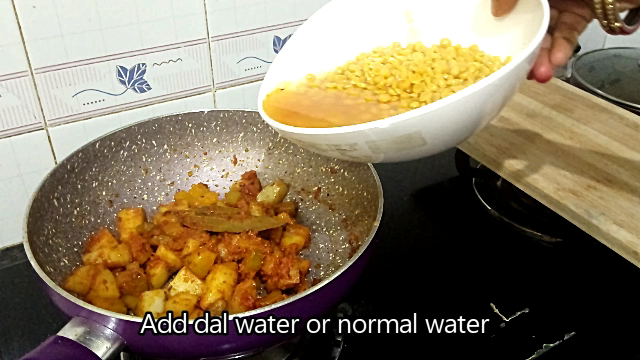 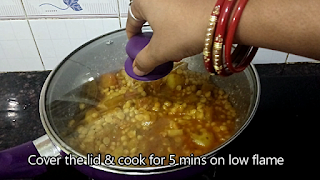 Boil the chana dal along with water and salt. 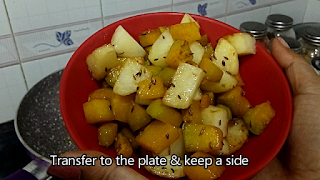 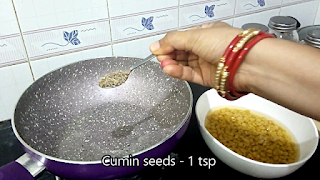 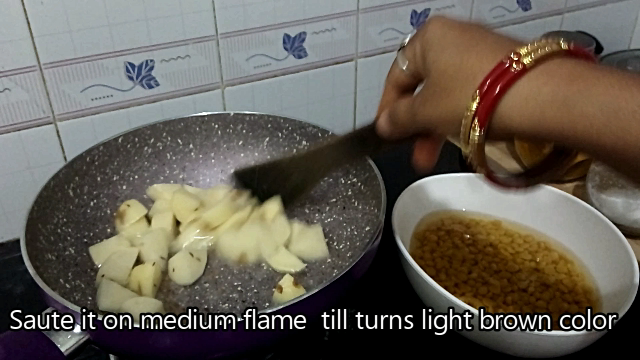 Add cumin seeds,when starts cracking put potato and saute it on medium flame till turns light brown color. 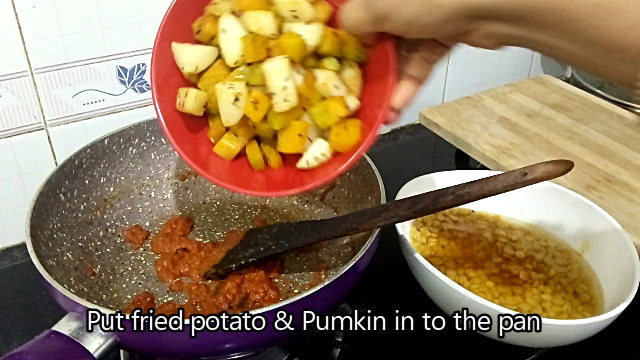 Then add pumkin and saute it on medium flame for couple of mins. Cover the lid & cook for 3-4 mins on low flame. 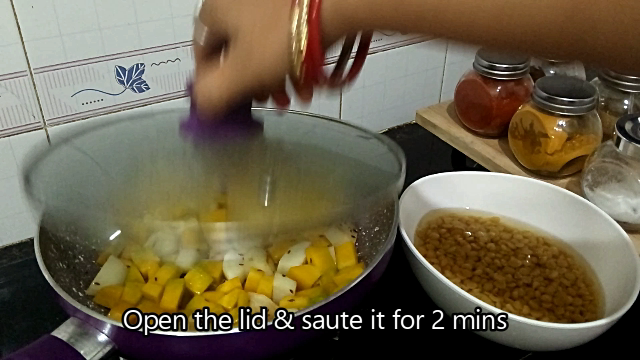 Open the lid & saute it for 2 min. Transfer to the plate & keep a side. 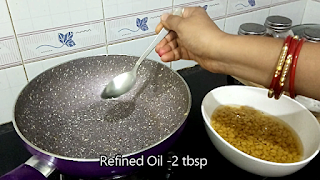 In the same pan add 2 more tbsp of oil. Put bayleaf and cinnamon and stir it for 10 sec. 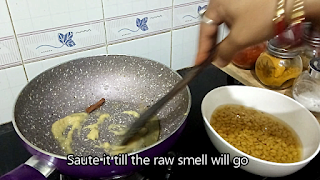 Then add ginger paste and saute it till the raw smell will go. 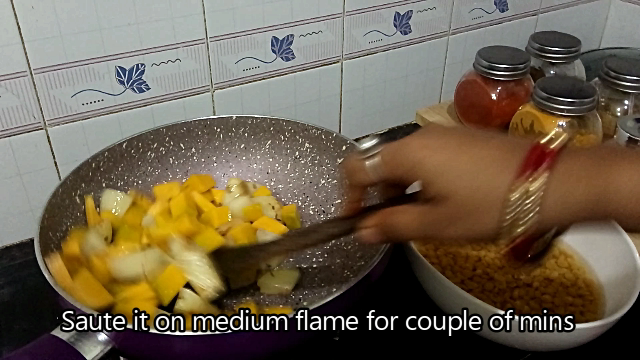 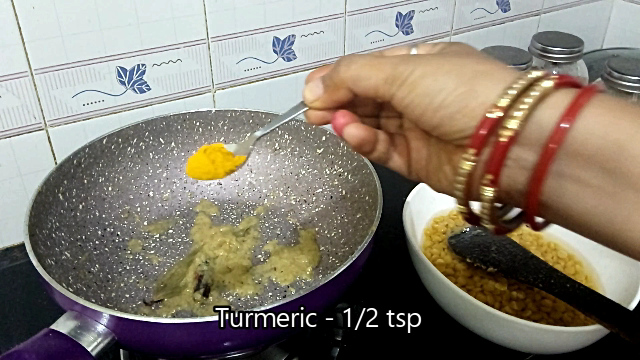 Put turmeric,chilli powder;mix well and saute it for 1 min on low flame. 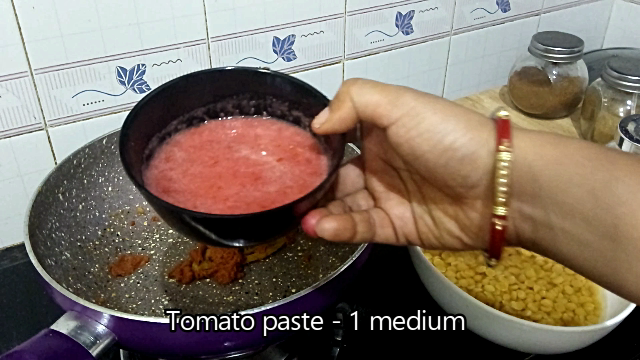 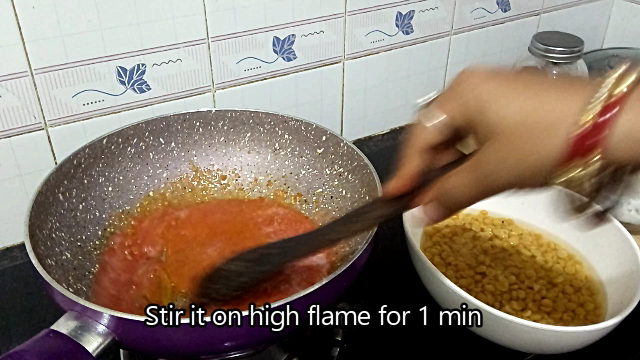 Add tomato paste and stir it for 1 min on high flame(to evaporate water). 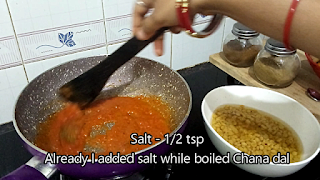 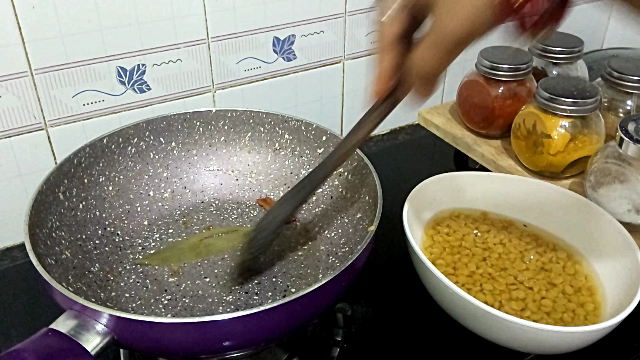 Then put salt (Remember already added salt while boil chana dal). 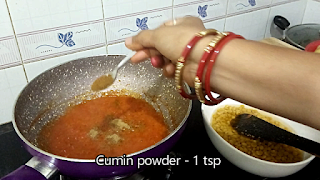 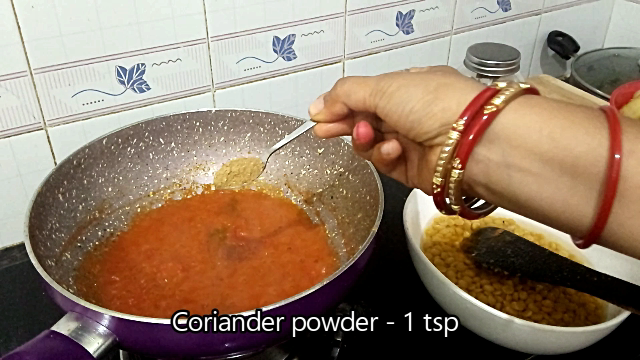 Add coriander and cumin powder and saute it till masala cooked well. Then add fried potato and pumkin and saute it for 2-3 mins on low flame. 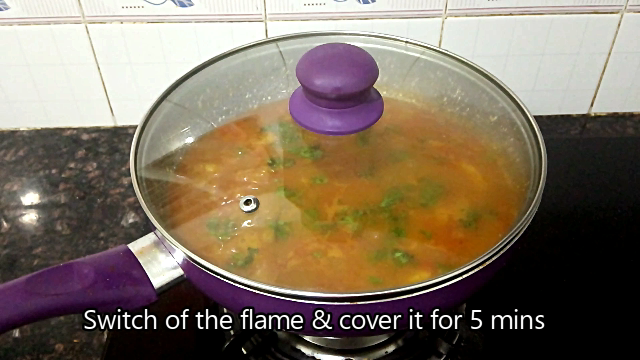 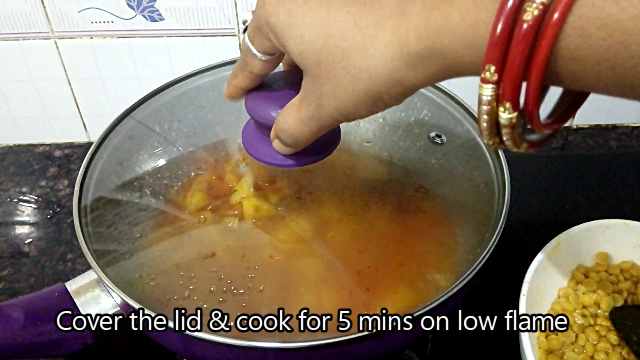 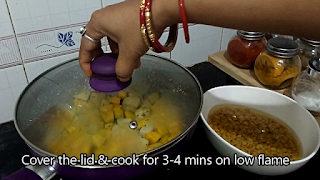 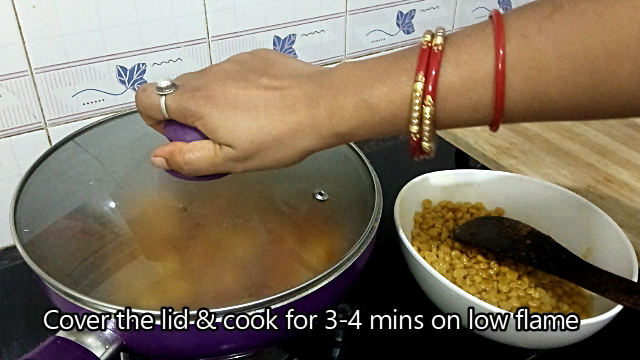 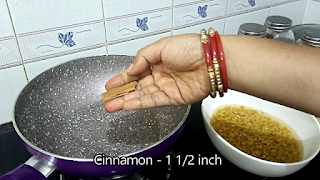 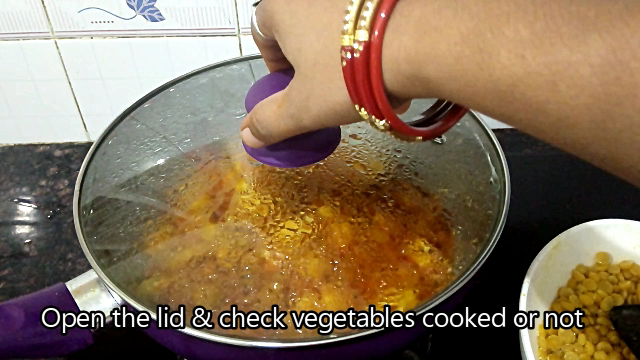 Pour dal water or normal water;cover the lid & cook for 3-4 mins on low flame. 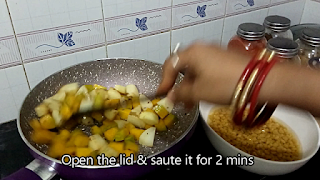 Open the lid & saute well. 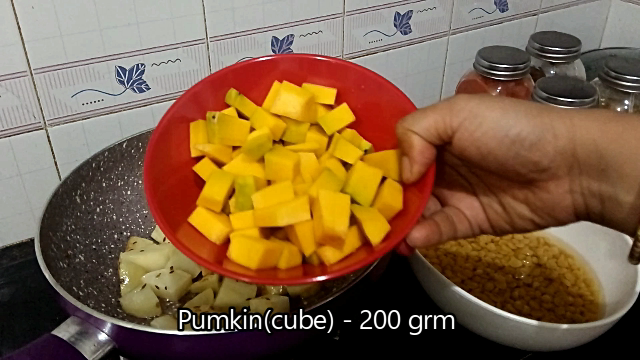 Add 1/2 cup of water to cook potato and pumkin. Cover the lid & cook for 5 mins on low flame. After 5 mins open the lid & check whether potato cooked or not. 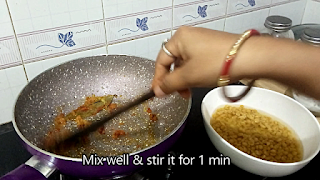 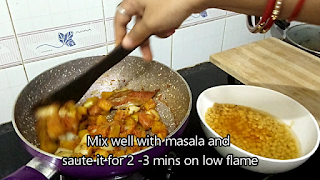 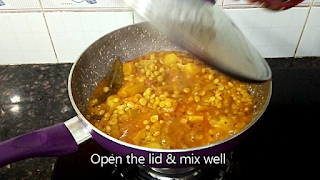 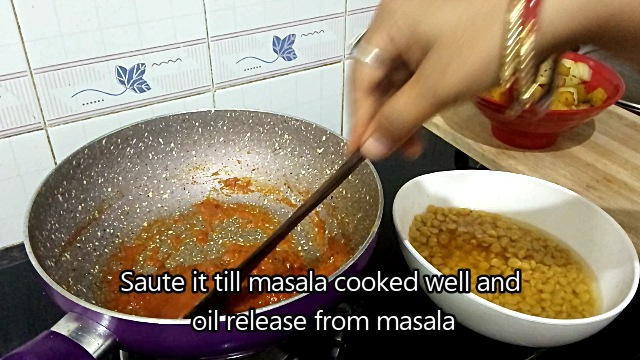 Now add cooked chana dal;mix well and cover the lid and cook for 5 mins on low flame. 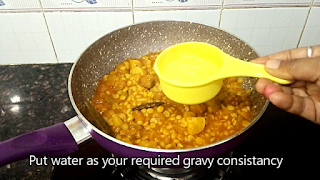 Finally add water as per your gravy consistancy. 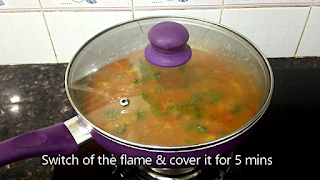 Let it boil for 3-4 mins on low flame. Then sprinkle coriander leaves and switch off the flame. Cover the lid for 5 mins. 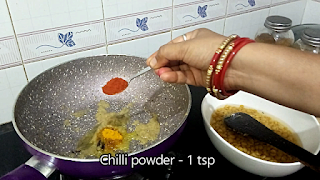 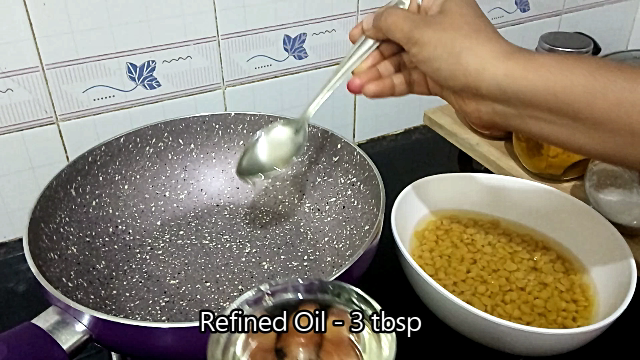 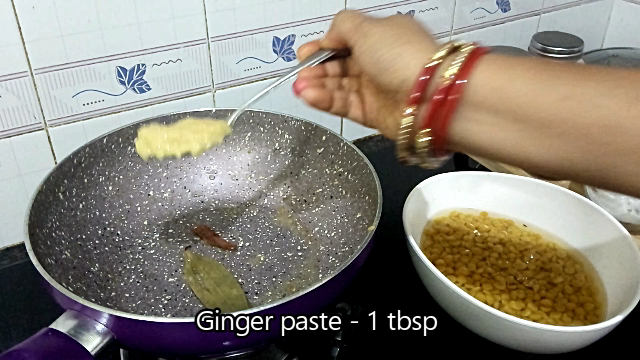 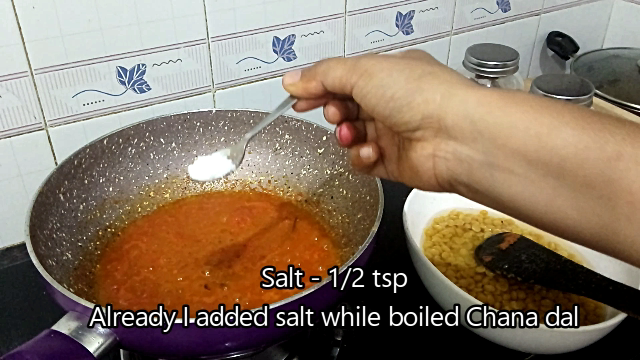 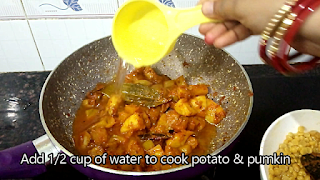 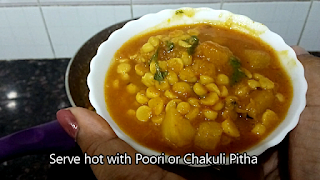 Serve hot with Poori or chakuli pitha.